As a reading specialist I meet with many small groups throughout the day. At one point in the day I go from teaching letter sounds, to teaching four and five syllable words and inferring meaning of large vocabulary words, in a matter of minutes. Everyday I teach grades K-4 to read. Therefore, I need tons of different materials to meet the needs of all my sweet people. This also means that I need many tools to make this time meaningful. So here are some of my Go-to Tools for Guided Reading time. If the walls in your classroom are going to be decorated, let them be useful, but not cluttered. In my room, I've created a phonics wall, a word wall, and a wall that reminds them of our reading strategies. 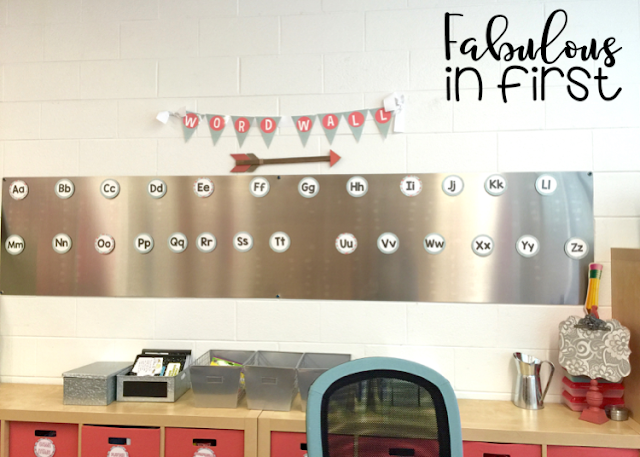 Having your word wall directly behind your guided reading table is important. Many times the same words students see in a book, are words they know in isolation. 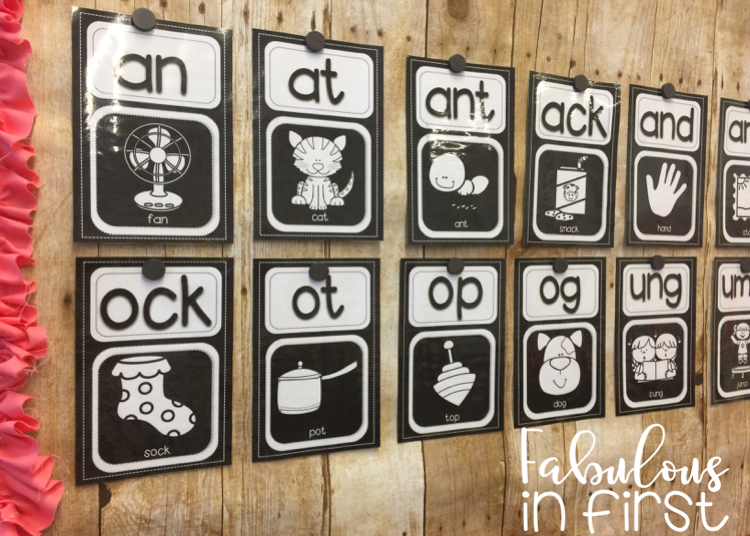 Reminding them that word is on your word wall, often helps them to recall the word while reading. 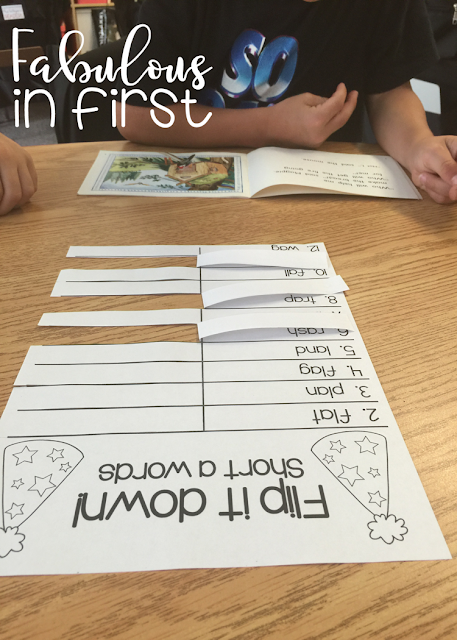 Guided Reading Games to practice sight words, phonics, decoding and fluency are so important. 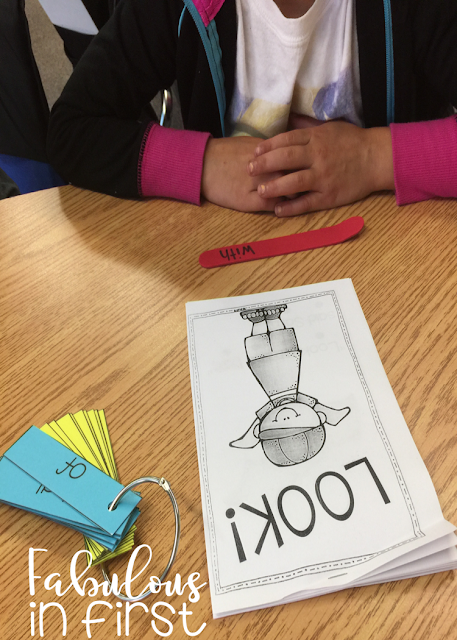 Before my official guided reading lesson, I always play a sight word game and do some phonics/word work review. Keeping my readers, who sometimes struggle engaged and excited about reading is so important. 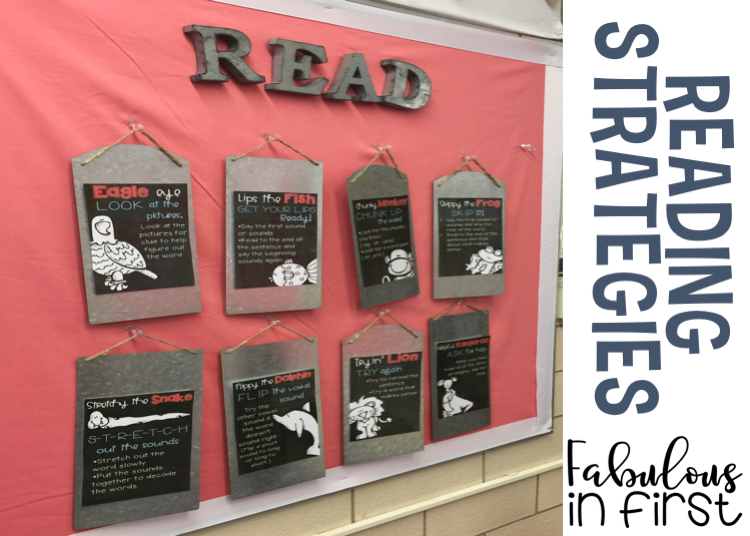 Playing these games, not only help them learn and review, but also promote the idea that reading is enjoyable. These are several ZAP games. Student pull a stick and read. If they are correct they keep the stick, if they get a zap, they lose all of their sticks. The student with the most sticks at the end of the time, wins. You can use this game with any concept. Flip it down is a fun game to review phonics, sight words or fluency. Students roll two die and add. The number they get is the word they read. If they get it correct, they will flip the flap down, if they don't get it correct it remains uncovered. The student with the most flaps, flipped down wins. 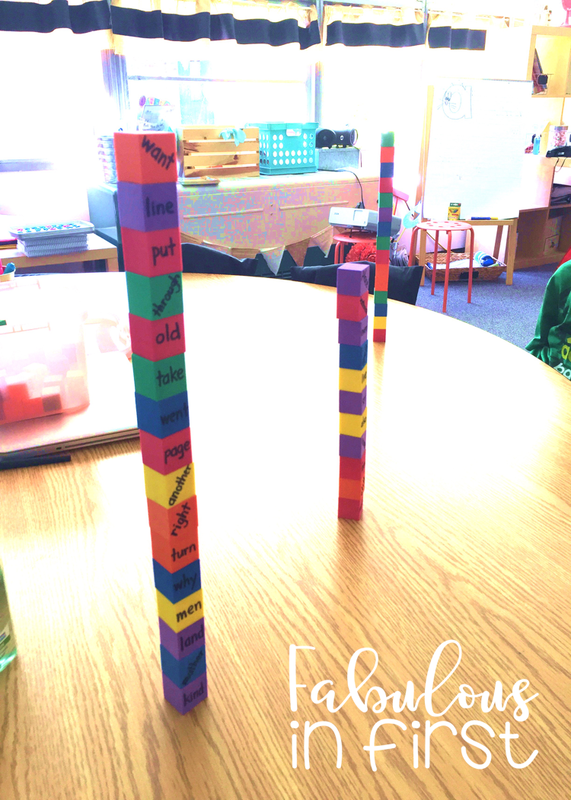 Sight Word Stack is so much fun. Students get to keep the cubes as they read the words correctly. They stack their blocks. The student who has the tallest tower that doesn't fall before the game ends wins. 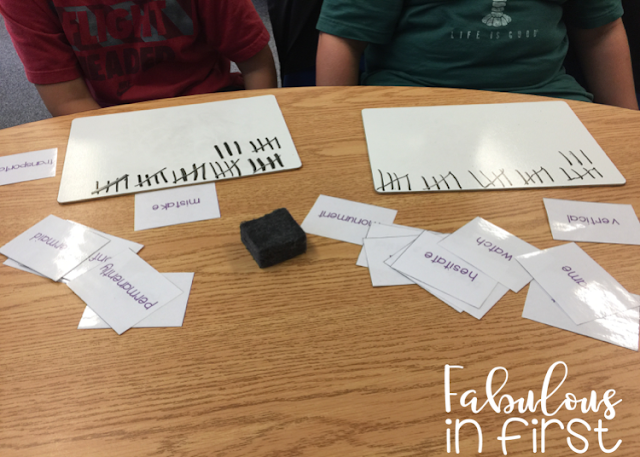 This is a game I play with my third and fourth graders to help them decode multi-syllable words. Students decode the word and count the syllables. 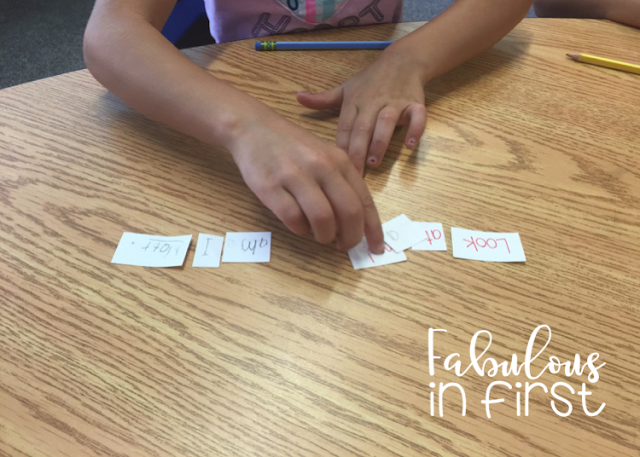 They get one tally for every syllable in their word they read correctly. The student with the most points at the end of the time wins. In addition, as you can see here, I also always have their white boards, markers and erasers in the chair pockets. I have tons of guided reading games for Fry words, available here. 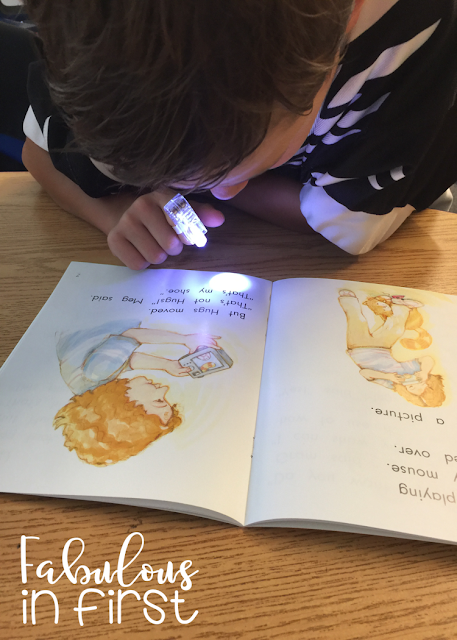 My students love finger lights, pointers, eye ball rings and more to point to their reading. I find the finger lights help many of my students read more fluently because their finger tends to glide across the words, in comparison to them using their finger and pointing word by word. The majority of our books come from Rigby PM , Kaeden, Scholastic and Hameray. Sometimes I make a book to cover a skill we're working on. My students had a particularly hard time with the words look and what, and we were reviewing the short a sound. Therefore we read this book from my short vowel readers. We often use this tape to search for sight words or tricky words I may point out during a predict and locate before reading. 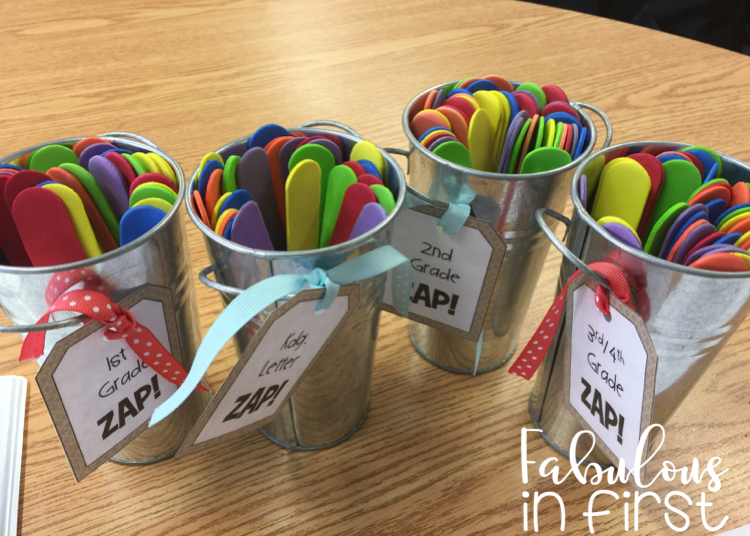 I really only use this for my kindergarteners and beginning first graders. 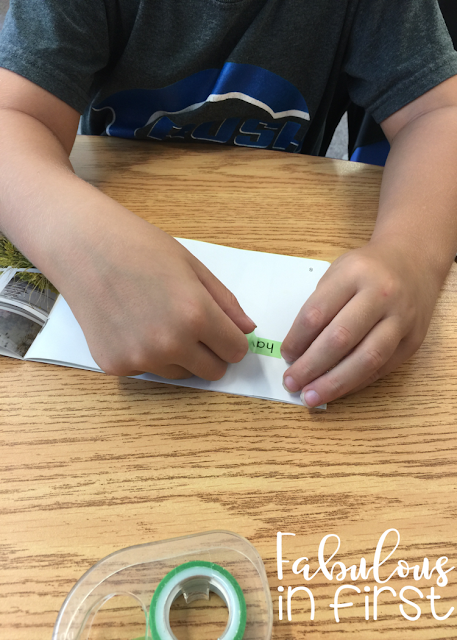 I often have them write a sentence on the strip, cut it up and have them read and organize the sentence in order. And those my friends are my favorite supplies. Are there more? Of course. A good teacher has tons of supplies and tricks up their sleeves. 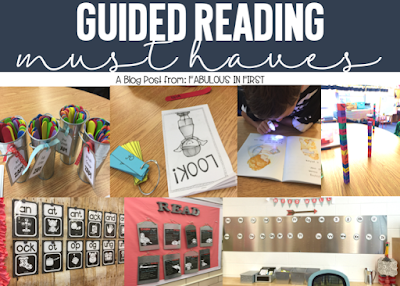 I'll be sure to be back with more ideas for your small group reading instruction.